Trecase has very ancient origin. It was called " Pagus Augustus Felix Suburbanus" by Roman people. In 79 A.C. it was buried under the ash and rubble of Mount Vesuvius. In 1200 Federico II of Svevia used this area as a royal hunting reserve called "Sylva Mala". In 1500 the first rural houses of Trecase were built, this name comes from the three female monasteries S. Chiara, S. Maria Egiziaca e S. Maria Maddalena which Trecase people had to pay taxes to. The village developed between 1550 and 1590, in this period the chapel Saint Virgin of graces was erected that is a magnificent example of Baroque architecture with interesting works of art. In 18th and 19th Century Trecase was a holiday place of Neapolitan aristocracy as show the many villas. Trecase is a little town located at the sloped of Vesuvius which dominates at the back of it, making an unique scenery. 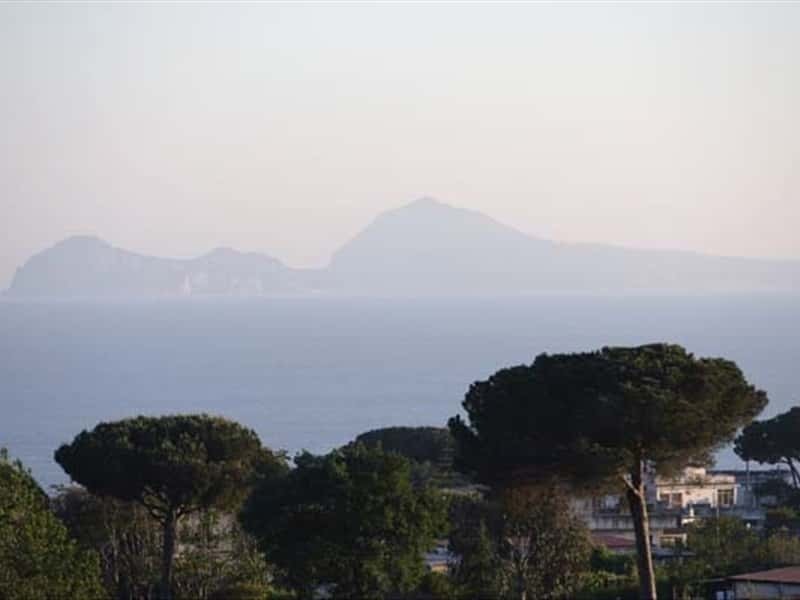 An unspeakable beautiful view opens in front of its inhabitants who can admire the whole Gulf of Naples, from Sorrento to Naples, the sinuous Capri island and on the right hand the Ischia island. Trecase isn't a touristic town, it is as suspend in the time, far from city chaos, and at the same time it is very near the most known touristic attractions of Campania as Pompeii ruins (6 Km) the Archaeological Site of Oplontis (3,5 km) Museum of Boscoreale (1km) Herculaneum Ruins (15km) Sorrento (29 km) Amalfi Coast (31 km) Naples (20 km) etc. Nowadays, Trecase produces some famous wines as Lacryma Christi doc, Caprettone, and Falanghina, in addition to delightful apricots. Very good cooking of restaurants and Hotels. This town web page has been visited 32,080 times.